Two A-10 Thunderbolt II pilots with the 442nd Fighter Wing, Whiteman Air Force Base, Mo., landed at Lielvarde Air Base in Latvia, marking the first time U.S. fighter aircraft landed in this Eastern Eurpoean country. In the past, C-130 Hercules have landed there, and F-16 Falcons have done touch and goes, but this was the first fighter landing. 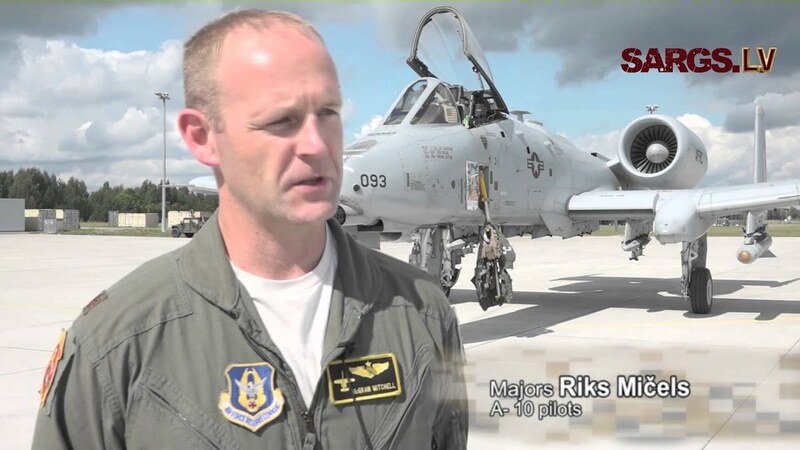 "It is an honor and a privilege to be the first ever fighter pilot to land here and be standing on the deck of this airfield," said Maj. Rick Mitchell, 303rd Fighter Squadron A-10 pilot, and first to land. "There are many qualified pilots to complete this mission and me and Capt. Sven Loeffler were the lucky ones chosen. It is awesome to be a part of this history."